Are micropollutants in urine problematic? On average, for all medicines and hormones ingested, 60–70% of the active ingredient is excreted in the urine – with major differences between individual compounds. But in a urine-based fertilizer, micropollutants are undesirable. As has been shown by chemical and ecotoxicological analytical tests, these substances can be removed from urine by certain treatment processes. Separate treatment of urine would be beneficial for water pollution control since it would reduce the ecotoxicological hazard potential posed by pharmaceuticals in wastewater by an estimated 50%. Medicines and hormones can be detected in wastewater treatment plant effluents, in surface waters and in groundwater – i.e. they are only partly removed by wastewater treatment processes. This may be problematic; for example, reproduction in fish is influenced by the highly bioactive hormones. 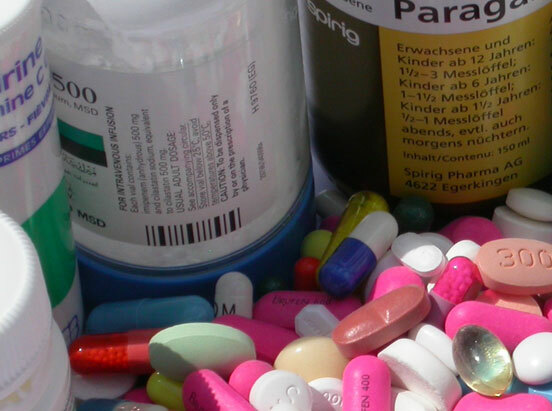 Although the severity of the problem remains unclear, caution is required given the sheer variety of substances in use – in 2005, 4727 human medicines were registered in Switzerland. Many substances ingested by humans are transformed in the body (metabolized) and excreted in the urine or faeces. This is a drawback if fertilizer is produced from urine, since micropollutants are also undesirable in agriculture (Nova 6). Accordingly, the removal of such substances was one of the aims of the treatment processes studied in Nova 4. 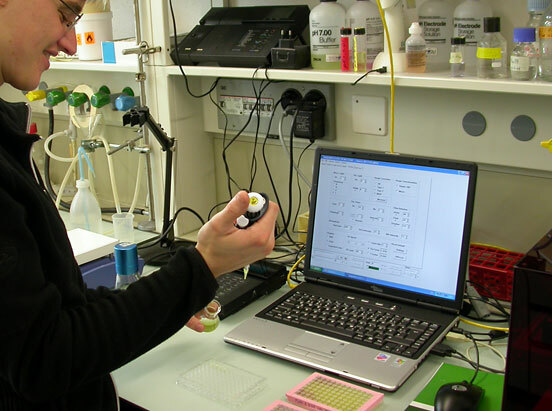 In Nova 5, ecotoxicological and chemical analytical methods were developed in order to evaluate the quality of the urine product. Urine source separation would be beneficial in terms of water pollution control, as the substances contained in urine would thus be prevented from entering wastewater streams. In Nova 5-1, a test battery was developed with the aim of determining in vitro whether pharmaceuticals in urine pose an environmental risk (ecotoxicological hazard) [1, 2]. The battery includes non-specific tests, showing a reaction to general cell damage . 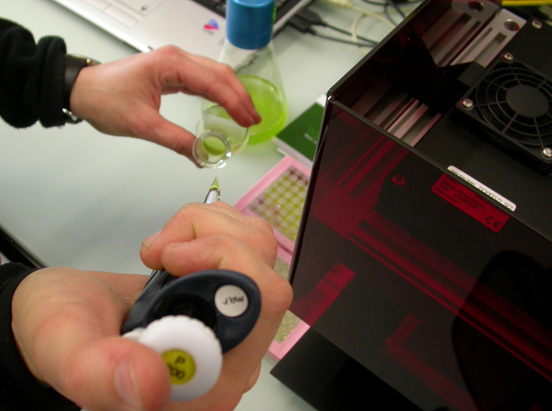 In addition, specific tests indicate, for example, whether a sample contains substances that are hormonally active, attack genetic material or disrupt plant photosynthesis . Thus, rather than measuring a single drug and its metabolites, tests of this kind determine the overall effect. To rule out interference from natural urine components (e.g. salts, high pH), a solid-phase extraction method was developed for the preparation of samples . The test battery permits effective quality control of the treatment processes with regard to the removal of micropollutants (Nova 4). For example, while the efficiency of the bioreactor was found to be inadequate , struvite precipitation was shown to be highly efficient: the micropollutants studied were almost completely eliminated. 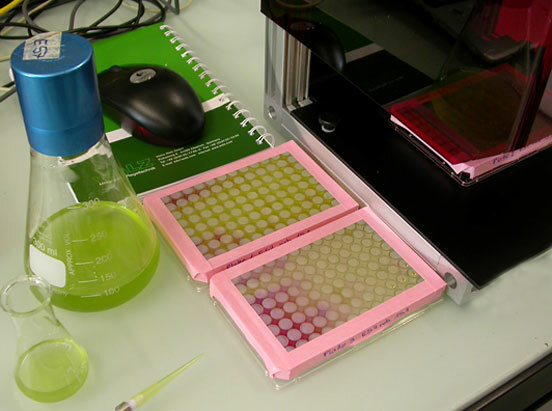 Nanofiltration eliminated 50–90% of the toxicity, and ozonation – depending on the ozone dose – 55–99%. It was concluded that the effects of the treatment processes varied widely, and the results of the various bioassays were sharply divergent. The methods tested thus remove different substances to different extents. In the EU COMPREHEND programme, analytical tools were developed for the detection of endocrine-disrupting substances in effluents from wastewater treatment plants across Europe . In Nova 5-2, one of these new chemical analytical methods (liquid chromatography-mass spectrometry / mass spectrometry; LC-MS/MS) was adapted so as to permit measurement of hormones in urine. Urine in the reactors from Nova 4 was spiked with known quantities of the natural female hormone estradiol and the synthetic ethinylestradiol (active substance in oral contraceptives) . Can these hormones be eliminated? Electrodialysis removed 98% of the estrogens. However, as a large proportion is retained by the membranes, these have to be cleaned in a separate step. After 24 hours, the bioreactor had removed 89% of the natural estradiol, but only 55% of the synthetic hormone used in contraceptives. Hormones were no longer detectable in struvite, and estrogenic activity was also eliminated with ozonation. The EU Poseidon project (http://poseidon.bafg.de/) studied technologies for the removal of pharmaceuticals at wastewater treatment plants. In Nova 5-3, the chemical methods developed in the Poseidon project for wastewater were to be adapted for the analysis of urine. However, control measurements indicated that this approach was unsuitable for this purpose. Using other methods from Nova 4-3, however, it was possible to measure individual substances . Nova 5-4, which was co-financed by the Federal Office for the Environment (FOEN; www.bafu.admin.ch), investigated whether urine source separation can contribute to water pollution control. The differences observed between 212 active ingredients (corresponding to 1409 pharmaceutical products) were immense. For example, urinary excretion of X-ray contrast agents was 90–100%, compared with only 6% for one cancer drug and 98% for another. On average, 64% of the active ingredient ingested was excreted in the urine. Also on average, 42% was transformed in the body and excreted as metabolites, which were mainly found in the urine . Using a screening method, it was possible to assess the environmental hazard posed by excreted pharmaceuticals. The method is based on literature data, e.g. on the chemical properties and metabolism of the active ingredient, and on the quantities of medicines sold. It was developed with reference to drugs used in cardiology (beta-blockers). In the case of these agents, the Nova 5-1 test battery revealed an unexpected effect: they inhibit the photosynthesis of algae . The method was subsequently applied to the (avian) influenza drug tamiflu, which is metabolized to 75% in the human body (data not published). For tamiflu, the ecotoxicological hazard estimated with the screening method would appear to be low. Another 42 substances were then investigated . In 34 cases, the toxic potential was reduced by metabolism in the human body. The ecotoxicological hazard of each of these substances after being metabolized tended to be low. However, there were some exceptions: ibuprofen, in particular, which is found in numerous analgesic drugs, poses a relatively high risk to the environment. Considerable differences were found in the site of activity: some substances developed their toxic potential mainly in the urine, others in the faeces. While the screening method has its limitations, we estimate on the basis of the limited data known to us that the ecotoxicological hazard potential associated with pharmaceuticals in urine and faeces is of about the same magnitude. It was demonstrated by chemical and ecotoxicological analysis that pharmaceuticals and hormones can be removed from urine with the aid of treatment processes studied in Nova 4. However, not all methods were equally effective . Many pharmaceuticals occur only in trace amounts that can barely be measured by chemical analysis. Chemical methods are valuable, for example, in characterizing the degradation processes of individual substances. 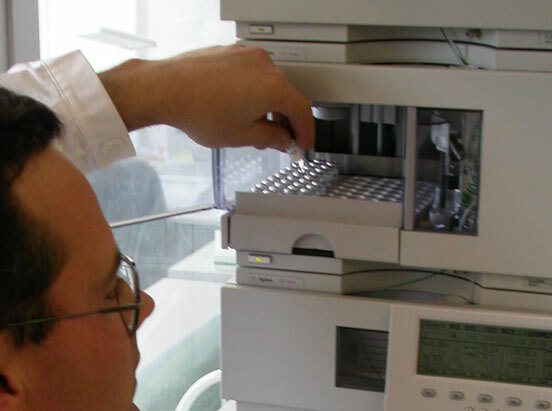 Ecotoxicological tests are suitable for estimating the overall toxicity of natural urine samples [1, 2]. However, it needs to be borne in mind that, in certain bioassays, effects may be produced merely by natural urine components . Urine source separation can help to protect waterbodies from micropollutants. However, even if it were to be fully implemented, not all pharmaceuticals and hormones would be prevented from entering wastewater . On the basis of estimations and limited data, we assume that urine source separation would remove about half of the ecotoxicological hazard potential . Escher, B.I., N. Bramaz, M. Maurer, M. Richter, D. Sutter, C. von Känel, M. Zschokke (2005) Screening test battery for pharmaceuticals in urine and wastewater. Environmental Toxicology and Chemistry 24(3): 750–758. Escher, B.I., N. Bramaz, R.I.L. Eggen, M. Richter (2005) In vitro assessment of modes of toxic action of pharmaceuticals in aquatic life. Environmental Science & Technology 39(9): 3090–3100. Escher, B.I, R.I.L. Eggen, U. Schreiber, Z. Schreiber, E. Vye, B. Wisner, R.P. Schwarzenbach (2002) Baseline toxicity (narcosis) of organic chemicals determined by in vitro membrane potential measurements in energy-transducing membranes. Environmental Science & Technology 36(9): 1971–1979. Escher, B.I., N. Bramaz, M. Richter, J. Lienert (2006) Comparative ecotoxicological hazard assessment of beta-blockers and their human metabolites using a mode-of-action-based test battery and a QSAR approach. Environmental Science & Technology 40(23): 7402–7408. Escher, B.I., W. Pronk, M. J.-F. Suter, M. Maurer (2006) Monitoring the removal efficiency of pharmaceuticals and hormones in different treatment processes of source-separated urine with bioassays. Environmental Science & Technology 40(16): 5095–5101. Eggen, R.I.L., B.-E. Bengtsson, C.T. Bowmer, A.A.M. Gerritsen, M. Gibert, K. Hylland, A.C. Johnson, P. Leonards, T. Nakari, L. Norrgren, J.P. Sumpter, M.J.-F. Suter, A. Svenson, A.D. Pickering (2003) Search for the evidence of endocrine disruption in the aquatic environment: Lessons to be learned from joint biological and chemical monitoring in the European Project COMPREHEND. Pure and Applied Chemistry 75(11–12): 2445–2450. Lienert, J., T. Bürki, B.I. Escher (submitted) Reducing micropollutants with source control: Substance flow analysis of 212 pharmaceuticals in feces and urine. Accepted for presentation at IWA Advanced Sanitation Conference, Aachen, 12.–13.3.2007, submitted to Water Science and Technology. Lienert J., K. Güdel, B.I. Escher (submitted) Screening method for ecotoxicological hazard assessment of 42 pharmaceuticals considering human metabolism and excretory routes. Submitted to Environmental Science & Technology.